The reverse may be true also. 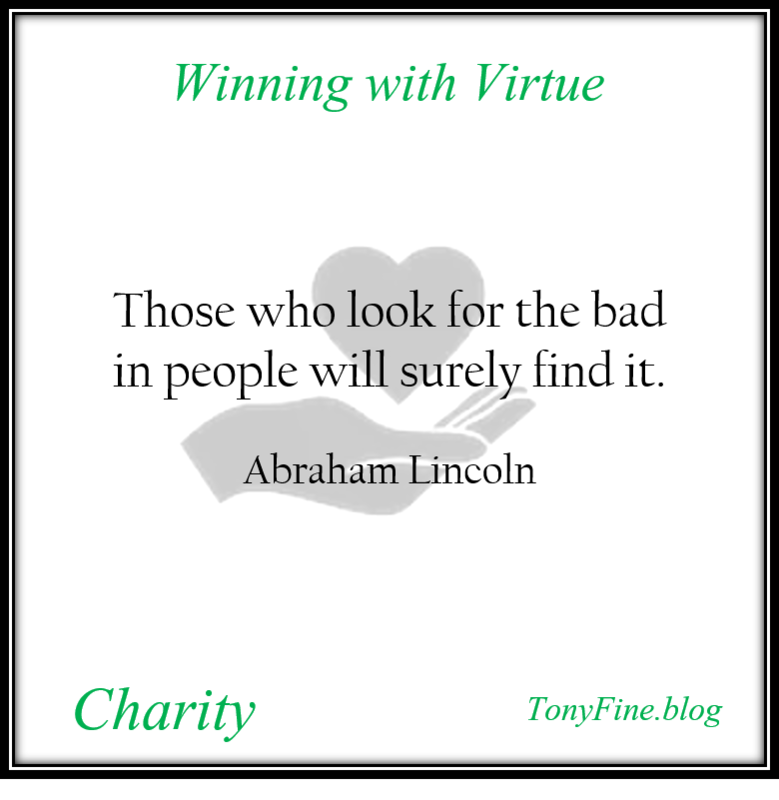 Look for the good and … hopefully you will find it. It is at least a good place to start. It is the person that got under your skin the first time you met. Ever since then, the bad impression has lingered. Now anytime you see him, you hone in on the bad qualities. Keep looking for the bad, and of course, you will find it. Does he have anything to offer you? Is there any redeeming quality? Not if you are only looking for the bad. Emerson said, “Every man I meet is my superior in some way. In that, I learn of him.” Have you considered that your antagonist has something of value to offer you? Maybe it is work ethic or a different viewpoint. There may be some quality you haven’t seen yet. The only way to find it is to look. Many view the act of charity as financial aid to the less fortunate. But charity goes beyond gifts of money. We can be charitable in our actions to those who need it. We can lend a helping hand to those who are suffering physically, mentally, and spiritually. How far can a kind smile, a kind word, or a kind act go? Sometimes these gifts go much farther than money.